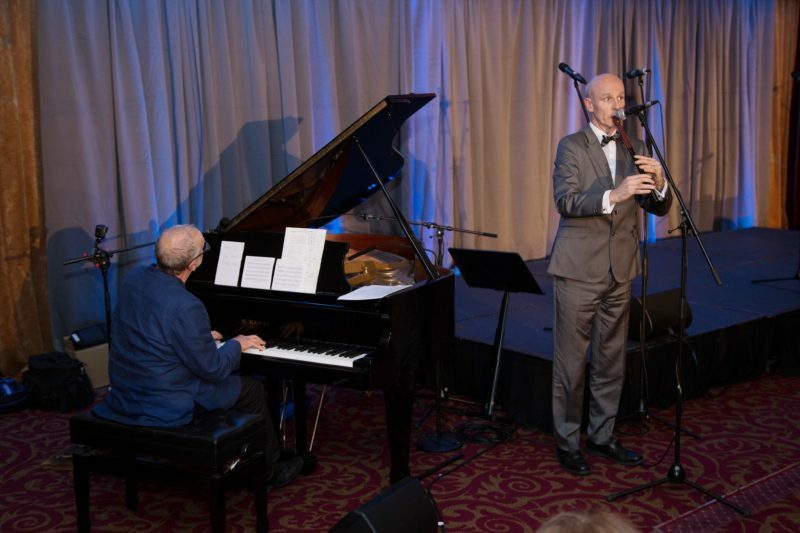 Fiachra Trench on Piano & Cormac Breatnach on Whistle at the William Orpen Weekend World War One Concert in the Talbot Hotel Stillorgan, 15th Sept 2018. Louisa and I wish to thank you and to congratulate you on a most successful weekend celebrating the life of my great uncle. Despite the many hurdles you had to overcome on the way, your vision to have a permanent memorial to Sir William has become a reality, thanks to your commitment, dedication and sheer hard work. The Orpen weekend was a very special one – the unveiling of Rowan Gillespie’s fine sculpture followed by the most entertaining concert on the Saturday evening. We very much enjoyed your excellent AV presentation on the Sunday and also the exhibition of Sir William’s paintings, sketches, letters and other memorabilia. We learnt much about him that we didn’t know before! The weekend also gave us a lovely opportunity to meet many Orpen cousins we hadn’t seen for some time and to meet other relatives of Sir William for the first time. Thank you again for all your hard work and persistence in achieving a permanent memorial to our grand uncle. We hope you’ll now be able to enjoy a well deserved rest!